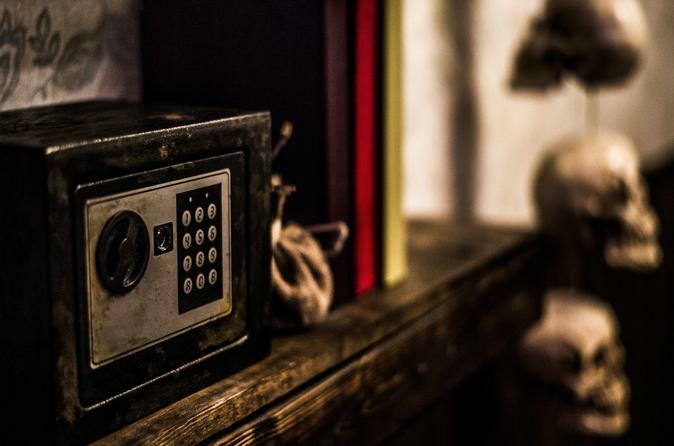 Challenge yourself by trying to escape the Cursed Cabin Escape Room in Las Vegas! Solve challenging puzzles, hidden clues and open locks to make sure you are able to escape within the 60-minute time frame! Many rumors have circulated about the strange woman Sanguina who lives at the outskirts of town. Apparently all who visit her house are never seen again. Unable to quiet your curiosity, you and your friends break in on a dare. Once inside, it’s clear that the cabin belongs to no ordinary woman, but a witch! The doors and windows have been magically barred--you know Sanguina will return in 1 hour; you’ve got to escape before she finds you here!